An innovative installer looking for something new for a project for his customer. 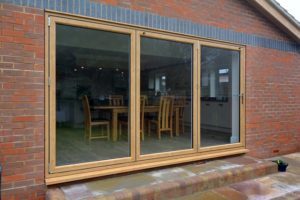 A brand new aluminium bi-fold door created by a trusted systems house, unveiled for the first time. Rod Charnick heads up Silika Ltd, an installation company based in Essex. The vast majority of his work comes from recommendations; over the last 18 years he has built an enviable reputation as a highly sought-after expert offering the best solutions to meet his customers’ needs. Unlike other installers, Rod hasn’t aligned himself with only one product or system. He prefers to assess each project independently and recommend the most appropriate product, ensuring the overall effect is exactly as the consumer requires. He is always looking out for new innovations and solutions to offer, and prefers to partner with companies with a similar philosophy. 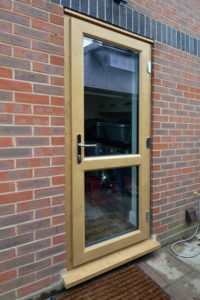 Rod began using Liniar products almost from the start of its launch of the uPVC system, and soon recognised the high quality of the system. 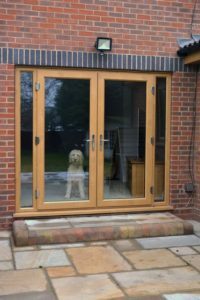 Liniar windows, doors, bi-folds and patio doors always feature within the options that Rod offers customers as the benefits are easy to communicate; and he says they are a dream to install. Silika’s customer Tracey Nightingale had first been in touch with Rod to replace all of the windows and doors in the property she had recently moved into with her husband. 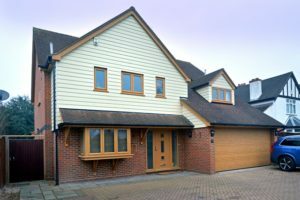 The resulting Irish Oak on white Liniar casement windows and residential doors, together with matching fascias, soffits and garage doors, gave the whole house a facelift and Tracey was delighted. The couple had also applied for planning permission to build an extension at the rear of the property, and had asked Rod for ideas about the opening at the back. 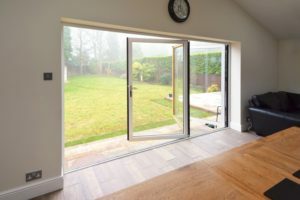 Tracy wasn’t keen on the idea of bi-folding doors, as she wanted more glass and less frame – asking instead for large French doors with sidelights. As soon as the doors opened in Telford, Rod was on the lookout for new ideas and products. He made his way to the Liniar stand, where his eye was instantly drawn to the 2.5m high Alumina bi-fold in Irish Oak, which took prominence at the front of the stand. Not only could the panes be manufactured larger than with a uPVC bi-fold, Alumina could be foiled – so it would be an identical colour match to the Nightingales’ new uPVC windows and doors. Perfect! 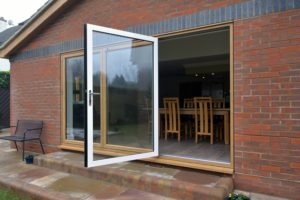 As soon as he showed the Alumina door to Tracey, she was convinced – so Rod kept in touch with Liniar following the show to find out when he could get his hands on one of the first Alumina bi-folds in the UK. 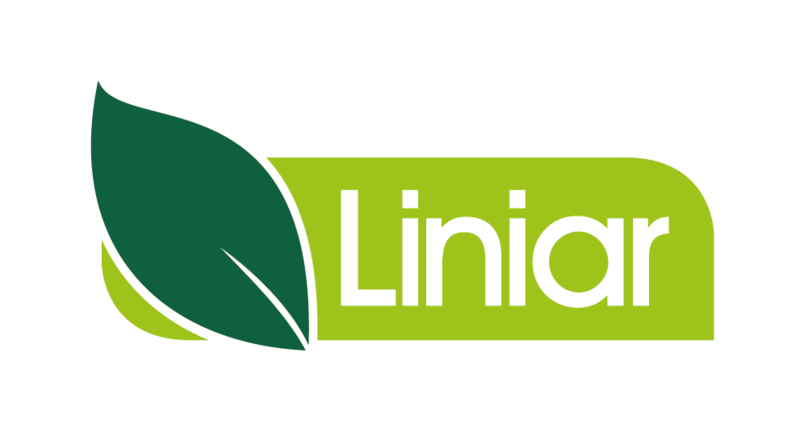 Rod has been buying Liniar products from Eastbourne-based Liniar Approved fabricator Whiteline Manufacturing for many years, and describes the company as “the best company I’ve ever dealt with” thanks both to its outstanding product quality and the professionalism of its team. He was delighted to discover that Whiteline had been first to invest in the tooling to manufacture Alumina at its state of the art premises, and placed an order for the Nightingales’ bi-fold – a three-pane with Irish Oak foiled exterior and white powder coated interior. “As with any product I’m installing for the first time, I was careful to find out if there were any quirks or things to watch out for during installation. I watched the Alumina installation video, which was very helpful. “I found the Alumina bi-fold very straightforward to install. It compares very well with other bi-folds I’ve fitted, and the fact it comes from a trusted systems house gives me confidence that it’s been properly tested and won’t cause me any issues. The Nightingales are delighted with their new Alumina bi-folding door.